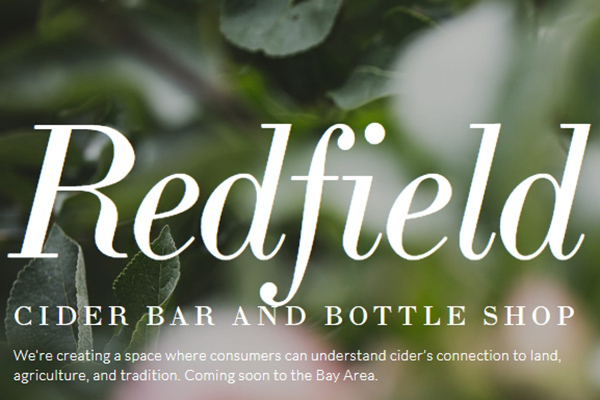 1) Redfield Cider Bar & Bottle Shop to Bring Orchard-Based Ciders to Oakland later this year. Redfield is a project of Mike Reis and Olivia Maki, the husband-and-wife team who oversee cider judging at the Good Food Awards. 2) Cider Culture visits Vermont for Women Making Waves in the Cider World: Citizen Cider. 3) Cidercraft spotlights a second round of charitable efforts in Cideries Continue to Give Back. 4) Cider Chat explores Cider Behind the Scene in Normandy and visits cidery-in-planning Wild Child Cellars in Franklin County, Massachusetts. 5) There’s More than Magic at Grand Illusion Hard Cider in Carlisle, Pennsylvania. And Bivouac Ciderworks is among the Urban cider houses set to take off in San Diego. 6) Susanna Forbes of Little Pomona writes for Imbibe UK on Under the influence: Cidermakers borrow from the worlds of beer and wine. 8) CiderWeek Frankfurt kicks off Saturday with a full schedule of events leading up to CiderWorld on April 15. 9) The 4th Annual Pour the Core Boston takes place on Saturday at the Flynn Cruiseport. 10) Along Came a Cider reviews Blake’s Black Philip and Ploughman Pinot N’Arlet. Cider Says reviews Boulevard Brewing City Market Cider and Frecon Farms Scrumpy. Cidercraft reviews Ramborn Perry. CiderScene reviews the Broken Ladder Ciders from BC Tree Fruits Cider Co. Cider Like Wine pits Farnum Hill Ciders against Ancient Peaks Winery in Creamy Cold Stone. Cider Revival reviews Woodchuck Semi-Dry and Citizen Cider Wit’s Up. The Cider Drinker reviews Twisted Tree Vintage. Cider Explorer reviews Ramborn Somerset Blend, Redbrook Red Fruit Polosuchý, and Sheppy’s Falstaff. And Real Cider Reviews tries Savanna Dry.